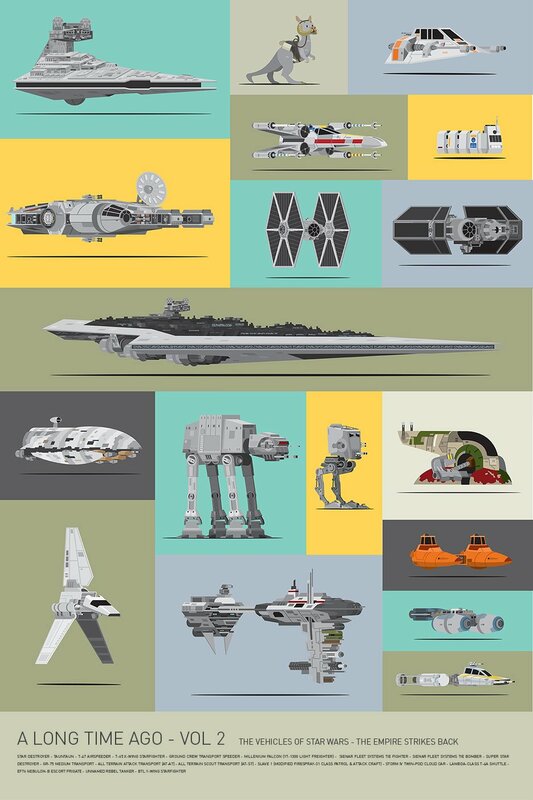 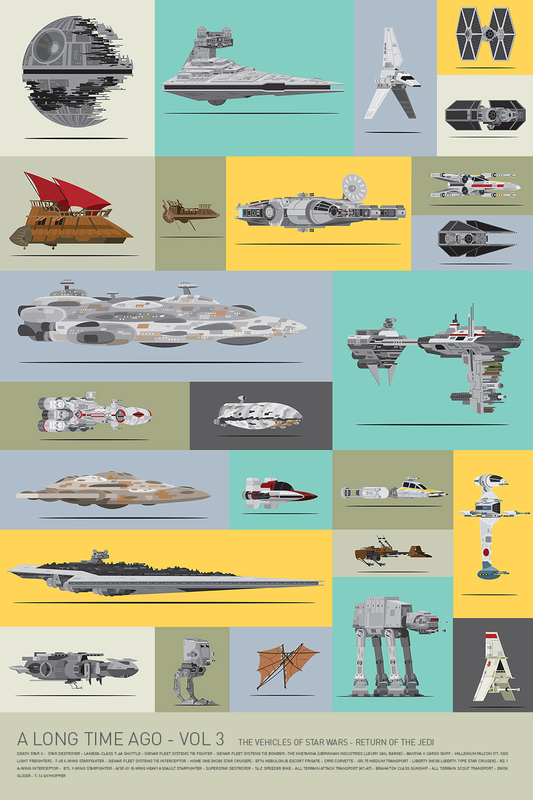 Gizmodo and artist Scott Park tried to enumerate the vehicles from the original Star Wars trilogy according to their size. 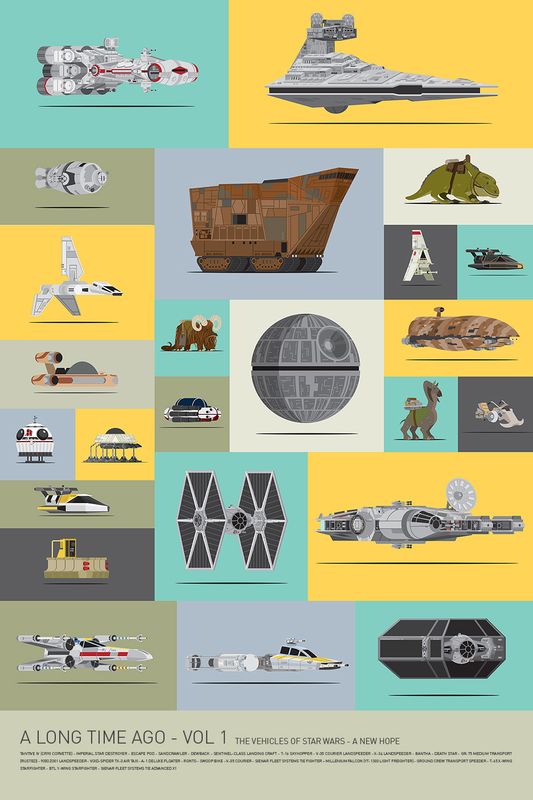 They made a couple of mistakes, but it’s still a good list. 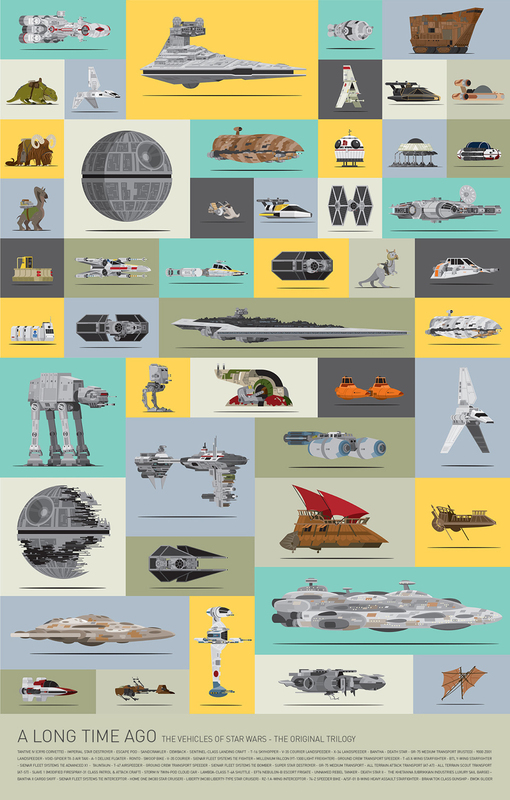 Scott sells prints of this compilation and more cool works on Society6.